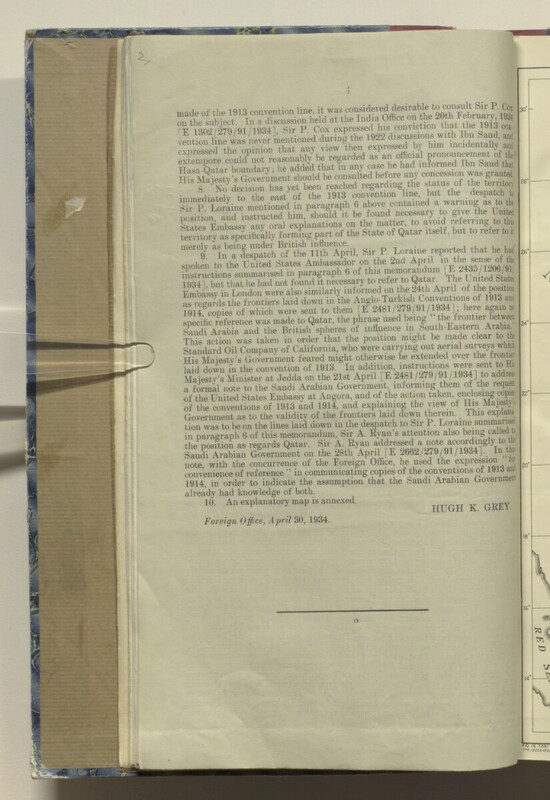 19 lfcopes of which were sent to them IE 2481/279/91/1934]; here again n.
Saudi Arabia and the British spheres of influence in South-Eastern Arabia. of the conventions of 1913 and 1914, and explaining the view of His Majesty. already had knowledge of both. 10. An explanatory map is annexed. HUGH K GREY. Foreign Office, April 30, 1934.